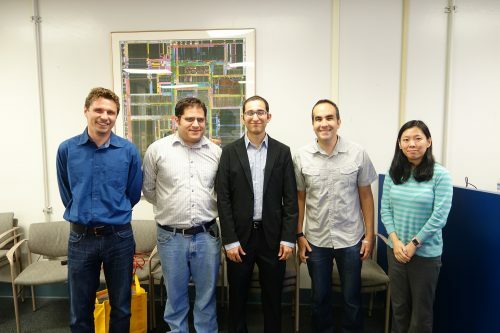 We present three video recordings of workshops that ZarLab postdoctoral scholar Serghei Mangul developed under the UCLA Institute for Quantitative and Computational Biosciences Collaboratory and delivered to Bruins-In-Genomics (B.I.G.) SUMMER participants. B.I.G. SUMMER is an intensive, practical experience in genomics and bioinformatics for undergraduate students who are interested in integrating quantitative and biological knowledge and considering pursuing graduate degrees in the biological, biomedical, or health sciences. An important question for undergraduates considering careers in the biosciences is whether or not biologists need to develop robust programming skills. Biology students without backgrounds in computer science are often intimidated by applications that require inputting code or negotiating systems that lack a graphical interface, such as Unix, R, SASS, and Python. “Becoming a programmer” may seem daunting to many students in biology, but an ability to analyze sequencing data represents a competitive advantage in today’s age of big data and next generation sequencing. By gaining familiarity with Unix, these students may find it easier to engage with other applications and programming languages commonly used in computational biology. 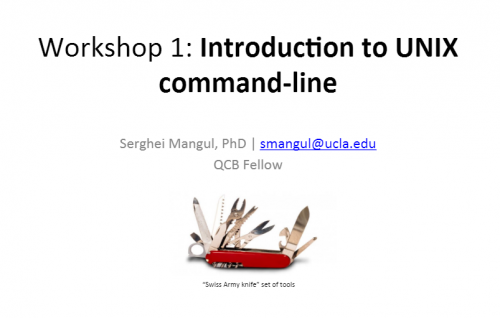 In order to use Unix effectively, students must learn how to directly enter functional commands line-by-line into a workbench that manages multiple platforms and a unified filesystem—without the familiar aid of a graphical interface. In this three-part series of workshops, Dr. Mangul provides just enough information for students with no computational background to get started using Unix for analytical tasks. These workshops aim to help participants learn key commands and develop fundamental skills, such as connecting, writing, and submitting basic shell scripts to a cluster.